Lovecraft's "The Call of Cthulhu" needs no real introduction. It is the most famous of his works and a highly influential story about extraterrestrial beings that descend to the primal earth, build cities whose archaeological remains continue to puzzle humans even in ruins and found a religion based on worship of their godlike powers. In this, "Cthulhu" anticipates every aspect of the modern ancient astronaut theory. 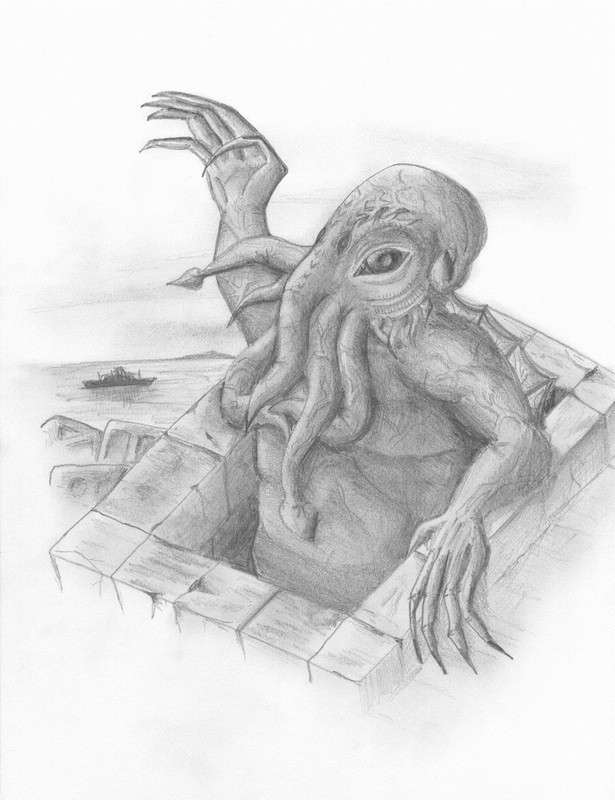 This is no coincidence, as I have repeatedly shown, since "Cthulhu" helped influence the French writers who created the modern ancient astronaut theory from bits of Lovecraft and the Theosophical texts he drew upon. Cthulhu Rising. © 2005 Jason Colavito. All rights reserved.